The November 2017 issue of Flow Control Magazine features a story on the successful use of an Equilibar vacuum regulator in providing stable pressure control for a complex glovebox application at a major research laboratory. As the article explains, glovebox technology is rapidly expanding into more and more markets, creating more and more complex pressure control scenarios. It is especially important to provide stable pressure control for glove box applications due to the extreme conditions and hazardous materials that are often involved. Glovebox applications are further complicated because the pressure control system must accommodate exceptionally wide flow rate ranges: during normal operation, the system must be able to maintain a precise vacuum at low flow rates, but in the event of a glove rupture emergency it must also be fully capable of pulling large flow rates. This historic photo from NASA shows an early use of glovebox technology. Traditionally, demanding glovebox applications have used large pilot-actuated globe valves with springs. The problem with this solution is that the demands of accommodating the wide flow range of the glovebox push the limits of the globe valve’s performance. Over time, awkward and time-consuming interventions become problematic. For the research laboratory application, Equilibar engineers recommended using one of the company’s patented multiple-orifice vacuum regulators, which differ greatly from traditional spring designs. Instead of a single large valve seat, the Equilibar vacuum regulator uses more than 200 parallel orifices sealed directly with a flexible diaphragm. The diaphragm is dome-loaded by air pressure on top and controls the inlet pressure to closely equal the pilot pressure. The lightweight, supple diaphragm moves a few millimeters to modulate the vacuum regulator according to a fast force balance on the membrane. As a result, the Equilibar vacuum regulator reacts to changing pressure requirements in milliseconds. The multiple-orifice regulator used in the glovebox application will function equally well in vacuum applications and positive pressure applications. This means it is a good candidate not only for glovebox technology used to protect operators from materials but also for gloveboxes used to protect material from the environment, as is often the case in the microelectronics industry. 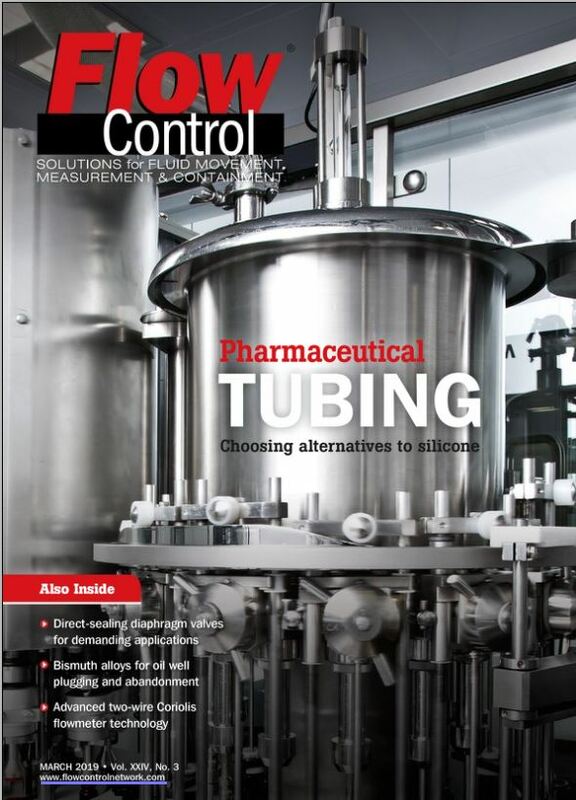 The Flow Control Magazine article provides more details and can be viewed at Flow Control.